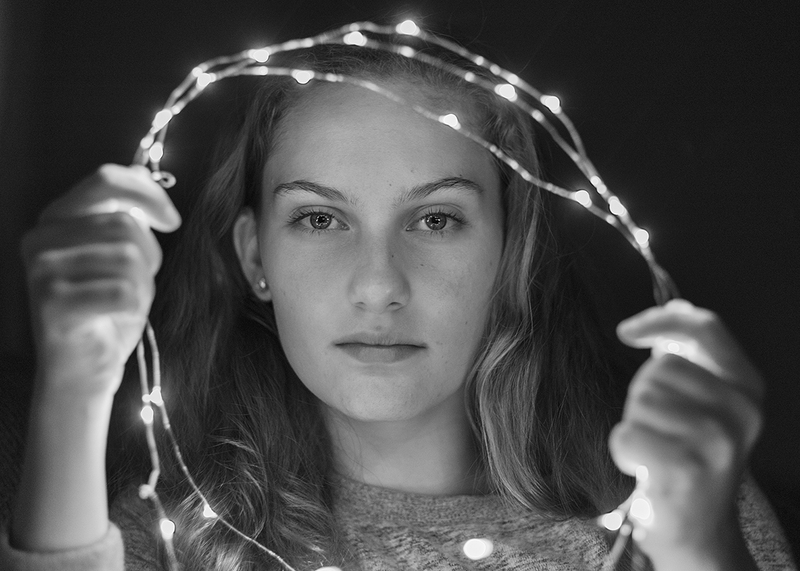 A dark room, a string of craft lights, and a very patient model. Beautiful photo! Love the point of view and how you lit the image.